Chemical-based hair color is not an option for many consumers: allergies, pregnancy, color-resistant hair, and sensitive scalps prevent many from using chemical colors. A new study linking chemical color to brain tumors and other health concerns is now impelling many former users to search for a viable alternative. 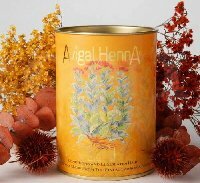 Happily, there is an answer: Avigal® Henna, the 100% natural hair colorant.